Another US Govt shutdown… could mean lower mortgage rates for Canada. 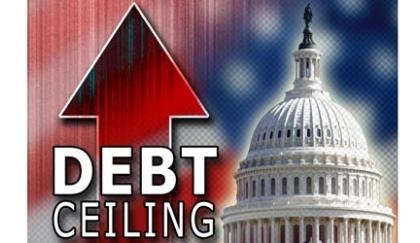 Remember the U.S. Debt ceiling crisis in the summer of 2011? Panic was an understatement. That story dominated headlines for close to 2 months. Stock markets dropped, but mortgage rates dropped, too. In fact, fixed wholesale mortgage rates dropped 0.50% in the months leading up to the Debt Ceiling deadline, from June to August…. And continued to drop another 0.70% into 2012. It’s October 2013. Another crisis. The U.S. govt has shut down. Well, not really. They’ve just closed all non-essential services. This time, Congress cannot agree on a spending bill. Under US law, it’s a felony to spend taxpayer money without Congress approval… (there’s a joke in there somewhere, I’m sure of it). It’s just more politics… it has to do with Obama’s healthcare and Republicans don’t want to allocate funds for this. That’s the simplified explanation. And like the last crisis, there is concern about the lingering effect on the economy. When the US sneezes, Canada gets a cold. The US is Canada’s biggest trading partner. So any slowdown will affect Canada. The big question is, how long will this shutdown last? LASTING AFFECTS OF A SHUTDOWN? History can teach us a lot. During the last crisis, stock markets dropped 3.7% but rebounded with a 10% rise a month later. Here’s a little more history… there have been 17 Govt shutdowns in the US since 1977… with most lasting less than 3 days. Yeah, it’s a political game of ‘chicken’. Who will blink first? The real losers here are the US citizens and taxpayers. Ultimately, they will foot the bill with some sort higher tax or some services cut. A word about Variable rates..
An interesting fact…. Even when fixed mortgage rates hit their all-time lows earlier this year, Variable rate was still better! That’s right, Variable rate pricing was and is at 2.60%. Variable rate is still a good option. History shows it’s the cheapest way to finance a home. Just remember, not all Variable rate products are alike. There are clearly better products than others that have built in guarantees… contact me if you need more details. Previous Previous post: Credit counselling, Consumer proposal or Bankruptcy? I only like one of these options. Next Next post: Is there a better mortgage rate out there? I always appreciate your analysis and comments when I receive articles from you. In my opinion your interpretation of the mortgage market and all its players is well structured, insightful and easy to understand. You provide great fact in an organized and professional manner that has great results for your customers. CanadaMortgageNews.ca Another US Govt shutdown… could mean lower mortgage rates for Canada.